Parenting Inside Out (PIO) is an evidence-based, cognitive-behavioral parent management skills training program created for incarcerated parents through a six-year collaboration of scientists, policymakers, practitioners, and instructional designers. Both the information in the program and the way that information is presented were informed by knowledge derived from research and practice. At the core of Parenting Inside Out is Parent Management Training (PMT), various versions of which appears on the “best practice” lists of the American Psychological Association, the US Department of Health and Human Services, and the Office of Victims of Crime of the US Department of Justice. 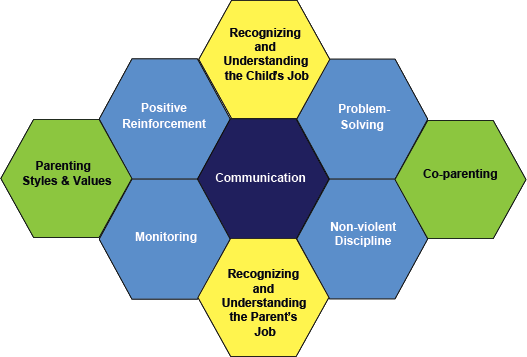 PMT includes communication, problem -solving, monitoring, positive reinforcement, and non-violent discipline techniques. With input from inmates and their families, researchers built upon the PMT curriculum to make it effective within the context and restrictions of parents and families involved in the criminal justice system. Parents develop and refine social interactional skills and citizenship behaviors they can use in all aspects of their lives and that will help them guide their children toward becoming positive, constructive adults. One of the central activities in the prison curriculum is the adoption of a bear. Adopting a bear, for whom the parent is responsible 24/7, gives parents the opportunity to practice a set of key parenting skills (e.g., supervision and monitoring) even though they are not with their children. The PIO program gives parents a way of navigating life that uses healthy, pro-social skills to interact with children, partners, co-parents, officials, friends, and family. 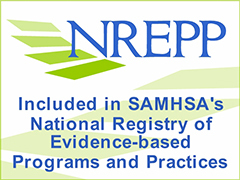 PIO has been reviewed by SAMSHA and is now included on the NREPP (National Registry of Evidence-based Programs and Practices) website. The development team was led by Dr. J. Mark Eddy, a licensed psychologist and scientist at the Oregon Social Learning Center (OSLC). Primary team members included Dr. Rex Newton, a staff member of Pathfinders of Oregon and a prison psychologist who had worked with parents in prison and on probation and parole for over three decades; Dr. Charles R. Martinez, Jr., a licensed psychologist and scientist at OSLC and a faculty member at the University of Oregon; Dr. Leslie Leve, a developmental psychologist and scientist at OSLC; and Ms. Tracy Schiffmann, an instructional designer, adult learning specialist, and experienced parent educator, who served as the primary author on the various curricula. To launch the development process, the team conducted numerous focus groups and individual interviews with men and women inmates; conducted an extensive literature review of parenting programs for at-risk families, incarcerated men and women, and children of incarcerated parents and consulted with practitioners working with incarcerated parents. Working within five correctional facilities of the Oregon Department of Corrections, the curriculum was developed, pilot tested and refined over a three year period. Following this work, an initial outline for the program was created, and sessions were drafted, pilot tested and refined. The parenting coaches who taught the initial drafts of the program, including Ms. Barbara Chow, Ms. Ashley Brown, Mr. Pernell Brown, and Ms. Laura Olin, played important roles in shaping the curriculum. Following the pilot, the curriculum was reviewed by practitioners, advocacy group representatives, researchers, and inmate and caregiver parents and final revisions were made. Throughout the development process, members of the State of Oregon Children’s Project gave key input, as did the inmate members of the Lifer’s Club at the Oregon State Penitentiary. The final draft was completed in 2006. The development of PIO was supported by four primary funders: the National Institute of Mental Health, the Edna McConnell Clark Foundation, the Oregon Department of Corrections and Pathfinders of Oregon, Inc.